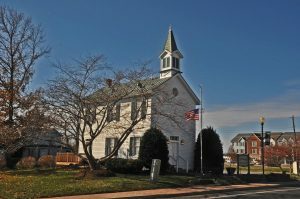 Haymarket was originally founded in 1799 and has a rich history that covers a time when it was almost completely burnt to the ground during the Civil War. Haymarket is home to one of the largest Cub Scout day camps, Camp Snyder, and even though it has a small population of just 1,973, it is an up and coming community with the Pick Your Own Flower event that takes place at Burnside Farms each year. Haymarket has a temperate climate, which means you can spend the evenings outside, especially in the spring and fall, however the summers tend to be hot and steamy from the humidity, which is perfect for breeding mosquitoes. Mosquitoes are known carriers for dangerous diseases, and there has even been a case reported in Fairfax of West Nile Virus. Homeowners and businesses are taking a proactive position on exterminating mosquitoes in and around Haymarket, and many are calling for a professional mosquito control service that will eliminate the mosquitoes on their property. Mosquito Tek understands how to control mosquitoes, and that in order to eliminate them you need to attack them where they breed. 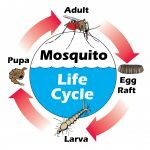 This is why they perform every mosquito treatment by first identifying the areas where mosquitoes are breeding, emptying containers where water collects and could offer an opportunity for a breeding location, then treating the areas where water exists naturally with a safe but effective larvicide. Once the breeding locations have been addressed, then the technician applies an effective mosquito barrier spray to eliminate adult mosquitoes where they thrive. Mosquito Tek offers two safe but effective treatment options for every mosquito pest control service. 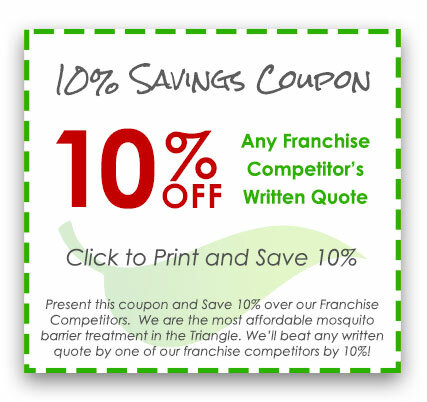 You can choose the most powerful conventional mosquito spray option on the market, which lasts up to twenty-one days, or you can select the all-natural organic mosquito control treatment option, which will last up to fourteen days, is NOP compliant, and is a good choice for those with organic gardens, or businesses such as restaurants with outdoor dining. Ticks and fleas are not only a nuisance to your family and pets, but they can spread cat scratch fever and tapeworms to your pets, and ticks are known carriers of serious illnesses such as Lyme disease and Rocky Mountain spotted fever. Mosquito Tek offers an affordable flea and tick control upgrade option as part of every mosquito control service, or you can choose to purchase this treatment option as an individual service. Mosquito Tek uses only the very best products available on the market and stands by their outstanding customer service, which is why they have the confidence to provide the best satisfaction guarantees in the industry. Their Product Guarantee provides that if you see any mosquitoes within the first 48 hours after receiving a treatment, they will respray at no cost to you. The Service Guarantee offers you the peace of mind that if you’re not 100% satisfied with the level of service provided by Mosquito Tek, you can get a full refund. Couple these guarantees with the Lowest Price Guarantee that Mosquito Tek will beat any competitor by 10% and you know why more people are calling them for their mosquito control needs. What should I expect when you complete a treatment? Each treatment will consist of four specific steps. We begin by assessing your property and identifying the insects we are treating. We will identify potential breeding sites on your property including any standing water. We will treat breeding sites with larvicide and drain standing water as possible. Finally, we apply an effective barrier spray to kill adult mosquitoes and to stop them from coming back into your yard. We will beat all competitors’ written estimates by 10%. This will allow you to get the best service at the best price possible. How do I know I’m getting the best products and services? 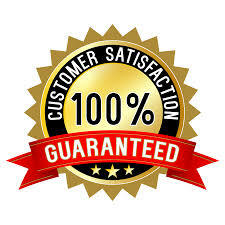 At Mosquito Tek, we offer two Satisfaction Guarantees. Our Product Guarantee states that if you see a mosquito in your yard within two weeks of the organic treatment or three weeks of the conventional treatment, we will come out and respray your yard for free. 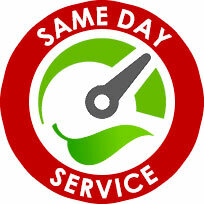 Our Service Guarantee states that if you are not satisfied with the service you will receive a full refund. How safe are your products for my family, my pets and other wildlife? The products are safe for your family and pets. We do ask that you stay indoors during treatments, and keep your pets away from the area needing to be treated. You can resume normal activities an hour after the conventional treatment or 30 minutes after the organic treatment. The spray needs to dry completely, and it may take it a bit longer to completely dry if humidity is high. Do you offer any one-time treatments for my wedding or corporate event? There are one-time special event treatment plans available. Just contact us as you are planning your treatment and we will work with you to schedule a time to treat the area between two to three days before your event. We can keep your special event free from mosquitoes, stinging insects, flies and no-see-ums.